We come now to a consideration of the epiphaneia (Epiphany, or Apocalypse). As a period it is the second time stage of our Lord's Second Presence. As already stated, it is the Time of Trouble (Matt. 24:21, 22; Dan. 12:1; Luke 17:26-32; 21:25, 26; Rev. 19:11-21), during which a less faithful, overcharged Spirit-begotten class, the Great Company, is delivered (Mal. 3:2, 3; Matt. 7:26, 27; 1 Cor. 3:12-15; Rev. 7:14), and Those Consecrated Between the Ages are developed. The ablest Bible students of our day, from their careful scrutiny of the Bible prophecies, and the signs of the times and the world-troubles since the outbreak of the World War (Phase I) in 1914 (with accompanying famines and pestilences), are more and more coming to a conclusion with which we heartily agree. They are concluding that in the clouds of trouble that darken the symbolic heavens (the false religious systems) and involve the symbolic earth (human society) the presence of the Son of man will shortly be recognized by the world of mankind (Matt: 24:30; Luke 21:25-28; 2 Thes. 1:7-9; Rev. 1:7). If we are among God's watching people, we will recognize this before others see it; and thus the Day will not overtake us unawares. We now desire to investigate the Biblical use of the word epiphaneia and some of its related thoughts. While we note the fact that the word Epiphany, though frequently used in English, does not occur in the English Bible, we should recognize that the Greek word epiphaneia, from which it is derived, does occur in the original Greek of the New Testament. In all it is found in six passages, which we herewith cite: 2 Thes. 2:8; 1 Tim. 6:14; 2 Tim. 1:10; 4:1, 8 and Titus 2:13. In arriving at an understanding of its meaning, the consideration of a few things will prove helpful: (a) the word epiphaino, from which epiphaneia is derived; (b) the meaning of its basic part, phaino, (c) the meaning of the preposition epi with which phaino is compounded; (d) the force added to the word phaino by the preposition; (e) all the occurrences of epiphaneia in the Bible; (f) its various uses in the Scriptures; and (g) the general trend of Scriptural thought connected with the word. We remark that the word epiphaneia is derived, not from a simple, but from a compound word — epiphaino — which is formed by uniting the preposition epi, meaning on, upon, over, at, etc., with the verb phaino, meaning to shine, to manifest. Epiphaino derives its basic meaning from the verb phaino, and the preposition epi intensifies the meaning of phaino in the compound word, so that epiphaino means to shine brightly, to manifest clearly. These remarks help us to understand that, in harmony with Greek dictionaries, the noun epiphaneia primarily means bright-shining, clear manifestation. As a rule it refers to making an obscure or unseen thing very apparent to the physical or to the mental eyes. 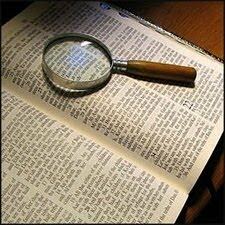 As we study its occurrences in the New Testament, we will be able clearly to see this. (1) "The dayspring [margin, sunrising, i.e., Christ] from on high hath visited us, TO GIVE LIGHT [shine upon—ASV; to give the bright shining of the Sun of Truth] to them that sit in darkness and in the shadow of death, to guide our feet into the way of peace" (Luke 1:78, 79). Here manifestly Jesus (John 1:9; 8:12; 9:5) is referred to as the One who clearly manifests God's ways to sinners and to saints. (2) "And when neither sun nor stars in many days APPEARED, and no small tempest lay on us, all hope that we should be saved was then taken away" (Acts 27:20). Here the bright shining of the heavenly bodies is referred to as unseen. (3) "The grace [favor] of God that bringeth salvation for all men HATH APPEARED, teaching us that, denying ungodliness and worldly lusts, we should live soberly, righteously and godly" (Titus 2:11, 12). Here the thought seems to be that the Gospel message, which is an expression of God's favor, has been clearly manifested as salutary for all mankind, and, as such bright light, teaches especially God's people to live holy lives. (4) "After that the kindness and love of God our Saviour toward man APPEARED" (Titus 3:4). Here the Gospel is referred to as causing the kindness and love of God toward man to shine brightly before us. In all of the four above passages it is apparent that the definition of epiphaino given above is correct: it means to shine brightly, to manifest clearly. A careful and reverent study of the six passages in which the word epiphaneia is found will reveal the fact that the New Testament uses it in two different ways: (a) as THE ACTIVITY of manifesting persons, principles and things, previously obscure or hidden, by the Truth shining with special brightness; and (b) as that PERIOD OF OUR LORD'S SECOND STAY ON EARTH to which the Truth shines in special brightness, manifesting persons, principles and things hitherto obscure or hidden (1 Cor. 4:5). In the order of their clearness we present with brief comments first the four passages in which epiphaneia, whose English equivalents in the respective passages we put in SMALL CAPITALS, is used to mean THE ACT of manifesting persons, principles and things, previously obscure or hidden, by the Truth shining with special brightness. (1) "Who [God] hath saved us, and called us with an holy calling … according to his own purpose and grace, which was given us in Christ Jesus before the world began, but [which] is now made manifest by THE APPEARING of our Saviour Jesus Christ, who hath … brought life and immortality to light through the gospel" (2 Tim. 1:9, 10). In this passage the Plan and favors that God prepared for His people before the world began are spoken of as being clearly revealed by the epiphaneia, the bright-shining, the clear teaching, of Jesus respecting persons, principles and things. Among the things clearly manifested by Jesus through the Gospel, God's Truth, the Apostle Paul mentions life and immortality. This passage is very clear as proving our first definition of the New Testament use of the word epiphaneia. It will be noted that in this passage the epiphaneia, the clear manifestation, is not connected with our Lord's Second Presence, but with the Harvest of the Jewish Age. (2) "Looking for the blessed hope [of seeing, being with and like our Lord; Col. 3:4; 1 John 3; 2] and APPEARING of the glory of the great God and of our Saviour Jesus Christ" (Titus 2:13, ASV). By the expression, "the glory of the great God and of our Saviour Jesus Christ," we are not to understand that, as some think, a dazzling natural light is meant, but rather the brightness of Their perfect characters shining resplendent in supreme wisdom, power, justice and love (Isa. 6:3; Psa. 72:19; Num. 14:21; Rev. 4:8; 15:3, 4). This passage says that the saints would expect two things in connection with our Lord's second stay on earth: (a) the realization of their hopes of seeing and being with and like Him, and (b) a clear manifestation of the resplendent characters of God and of Christ Jesus throughout the earth, even as heaven is now full of Their glory. Thus a manifestation of the glorious character of God and of Jesus Christ by the Truth shining with special clearness is referred to in this passage. And this, according to the passage under consideration, is to accompany Jesus' second stay on earth. Accordingly, this passage refers to His entire Second Advent period. (3) "Then shall that Wicked [one, the Antichrist] be revealed [manifested], whom the Lord [Jesus] shall consume with the spirit [power] of his mouth [the Bible, the Truth (John 17:17), is the Lord's mouth, that through which He speaks], and [whom the Lord Jesus] shall destroy with THE BRIGHTNESS of his coming [His Second Presence on this earth]" (2 Thes. 2:8). This passage shows us that the glorious and powerful Truth of God will shine so brightly that through its manifestation of the Antichrist in its teachings, character and effects, the Lord will accomplish at His Second Advent the annihilation of the Antichrist. (4) "Henceforth there is laid up for me a crown of righteousness, which the Lord, the righteous judge, shall give me at that day [the Judgment Day]; and not to me only, but unto all them also that love his APPEARING" (2 Tim. 4:8). This passage undoubtedly refers to our Lord's second stay on this earth, on the Last Day, when He will reward all God's servants (Rev. 11:18), who with yearning, love and delight have looked forward to that Day, in which Jesus, when rewarding His faithful followers, will manifest Himself in His glory by the brightness of His Word and works. Our brief examination of the above four passages shows that the word epiphaneia means THE ACTIVITY of manifesting persons, principles and things, by the Truth shining with special brightness. (1) "Keep this commandment without spot, unrebukable, until THE APPEARING of our Lord Jesus Christ: which [appearing] in his times [in its own seasons] he shall show, [He] who is the blessed and only Potentate, the King of kings and Lord of lords" (1 Tim. 6:14, 15). The Apostle Paul here could not have meant to give this injunction to Timothy as an individual, because Timothy died at least 18 centuries before the Epiphany period was due to set in. As Jesus frequently addressed His followers throughout the Gospel Age in the Apostles, their representatives, so here Paul seems in Timothy to address the Lord's people generally, especially the Truth servants, encouraging them to be faithful until that period of our Lord's Return which he here calls Jesus' appearing, His Epiphany (Col 3:4; 1 John 3:2), which this passage shows He would manifest in its separate time periods, when, as King of kings and Lord of lords, He would take to Himself His great power and prepare to reign in Millennial glory over the earth (Rev. 11:15-18; 19:6-16; 20:4-6). (2) "I charge thee before God, and the Lord Jesus Christ, who shall judge the quick and the dead at [during] his APPEARING and his kingdom [basileia]" (2 Tim. 4:1). The Scriptures assure us that Jesus with His Elect Bride will judge the dead during the Millennial Mediatorial Reign. By the dead of this verse we understand Adam's non-elect condemned children to be meant, regardless of whether they are in the dying process or in the death state (Matt. 8:22; 2 Cor. 5:14). These are to have their judgment—trial for life—during the Kingdom, the basileia period, as 2 Tim. 4:1 teaches (see also Psa. 72:1-19; 22:27-29; Rom. 14:9; 1 Cor. 15:23-26; 6:2; John 5:25-29; Isa. 29:18, 24; 45:22, 23; Phil. 2:9-11; Rev. 1:6; 5:10; 20:4, 6; Matt. 19:28; 20:21; Luke 2:34; 22:29, 30; Obad. 17, 21; Rev. 14:1; a copy of our Hope booklet free). The "quick" the living (the fallen angels and new creatures, none of whom, as such, have ever been under a death sentence), therefore, are judged, according to this passage, during His appearing, His Epiphany; accordingly, it is a period of time connected with our Lord's Second Advent, even as the basileia also is a period of time connected with our Lord's Second Advent. The two foregoing passages, therefore, teach that the word epiphaneia, from which we derive our English word Epiphany, also means A PERIOD OF TIME connected with our Lord's Return that is accompanied by a flooding of the earth with His all-exposing Truth, to set in after His Return, and before He and His Bride begin their Millennial Mediatorial Reign. Accordingly, we see that both of our definitions for the word epiphaneia are correct: (a) THE ACTIVITY of manifesting persons, principles and things by the Truth shining with special brightness and (b) THE PERIOD OF TIME connected with our Lord's Return in which there will be a special manifestation of persons, principles and things by the Truth shining with special brightness. From the above study of the word epiphaneia we see that of its six occurrences in the New Testament, one is used in a connection showing that it refers to activities of Jesus during the Jewish-Age Harvest; and the other five to activities and times connected with His Second Advent. These thoughts on the meaning of the word Epiphany will prove helpful for our better understanding of the other phases of our Lord's Second Advent. The Greek noun apokalupsis is derived from the compound verb apokalupto, which is made up of apo (off, away from) and kalupto (to cover, hence to hide or conceal, as used, e.g., in Jas. 5:20 and 1 Pet. 4:8—"shall hide [cover] a multitude of sins"). Therefore apokalupto means to take off the cover, i.e., to disclose, or to reveal, as used, e.g., in Matt. 10:26; Luke 12:2—"there is nothing covered [the Greek root word here used being kalupto] that shall not be revealed [uncovered, the Greek word here used being a future form of apokalupto]." The noun apokalupsis, therefore, signifies an uncovering, disclosure, revealment or unveiling (as of a thing previously present but hidden). The name of the last book of the Bible is "APOKALUPSIS"—we call it "The Apocalypse," or "Revelation." Thus we see that the primary meaning of the word apokalupsis (uncovering, revelation) is very similar to that of the word epiphaneia (bright shining, manifesting persons, principles and things). Both words imply a manifestation, a revealment, of that which would otherwise be concealed or hidden. Thus our Lord epiphanizes or apokalypsizes Jehovah, Himself, the Church, the Great Company, the Truth, the hidden things of darkness, the counsels of hearts, etc.—in a few words, brings all pertinent persons, principles and things to bright light and UNCOVERS or REVEALS them in their real character, in so far as this is necessary at the present stage of God's Plan. As showing why both the epiphaneia and apokalupsis are concurrent, and not consecutive (as some have supposed), we might take a covered object in the dark as an illustration. We might shine much bright light on it, but we still cannot see it until also the cover is removed. On the other hand, the uncovering of the object can be made in the dark, but it cannot be seen unless there is also sufficient light shining upon it. Thus both bright shining (epiphanizing) and uncovering (apokalypsizing) are concurrently necessary to a proper revealment. So the epiphaneia, the apokalupsis, of Jesus means, not His making Himself visible to mankind's natural eyes, nor simply His making Himself known, but (a) His making also every other person and every principle and every thing clearly known that is to be made clearly known, especially in the end of this Age. Apokalupsis like epiphaneia, also refers to (b) the second stage or period of our Lord's Second Advent, the Time of Trouble, the Epiphany, or Apocalypse, the special time of such epiphanizing or apokalypsizing. We now list, with some pertinent comments, the passages where the noun apokalupsis and its verb apokalupto are used with reference to our Lord's Second Advent, using SMALL CAPITALS on the English words that translate them. (1) Matt. 10:26: "There is nothing covered, that shall not be REVEALED; and hid, that shall not be known" (comp. Luke 12:2). The exposures of evil in all walks of life are manifestations of the judging work of Jesus' Second Advent (1 Cor. 4:5). (2) Luke 17:29, 30: "But the same day that Lot went out of Sodom it rained fire and brimstone from heaven, and destroyed them all. Even thus shall it be in the day when the Son of man is REVEALED." Sodom represents symbolic Babylon and Lot a section of the Great Company (Rev. 11:8; 2 Pet. 2:6-8). The destruction of Sodom by fire and brimstone represents the complete destruction of Babylon (Jude 7), which takes place in the great tribulation (Rev. 16:18-20; 19:20). Jesus' remark in v. 30 that the antitype of the raining of fire and brimstone upon Sodom takes place in the day in which the Son of man is revealed, proves that He is revealed, i.e., manifested, in the Time of Trouble, the Epiphany or Apocalypse period. (3) Rom. 8:18: "The sufferings of this present time are not worthy to be compared with the glory which shall be REVEALED in us." (4) 1 Cor. 3:13: "Every man's work shall be made manifest: for the day shall declare it, because it shall be REVEALED by fire; and the fire shall try every man's work of what sort it is." This refers to the testing of God's people during His Second Advent. The day is the day of trouble, the Epiphany or Apocalypse period. (5) 1 Pet. 1:4, 5: "An inheritance incorruptible, and undefiled, and that fadeth not away, reserved in heaven for you, who are kept by the power of God through faith unto salvation ready to be REVEALED in the last time." (6) 1 Pet. 5:1: "A partaker of the glory that shall be REVEALED." This and (3) and (5) above are among the texts which show that when Jesus is revealed in His Second Advent in power and glory—as these shall be made known, uncovered or revealed to the world—His Church will be with Him and will be revealed or manifested at the same time and in the same manner. (1) Rom. 2:5: "The day of wrath and REVELATION of the righteous judgment of God." This refers to the time of our Jesus' Second Advent, when, during the Time of Trouble (His Epiphany, or Apocalypse) He judges the "quick," and during His Kingdom (the basileia) He judges the "dead" (2 Tim. 4:1), for it is then that He "will render to every man according to his deeds" (Rom. 2:6; Matt. 16:27; Rev. 20:12; 22:12). (2) Rom. 8:19: "For the earnest expectation of the creature [the world of mankind] waiteth for the MANIFESTATION of the sons of God [the Church]." The context shows that this refers to the manifestation of the Christ class in Kingdom glory. Therefore in this passage apokalupsis applies to the Basileia, or Kingdom phase, of our Lord's Second Advent. (3) 1 Cor. 1:7: "So that ye come behind in no gift; waiting for THE COMING of our Lord Jesus Christ." God's people are here exhorted to keep active, watching and waiting for the great blessing until Christ's manifestation or revealment, though if Watchers, they are made aware of His presence and the work of "harvest" beforehand and share in the revealment. (4) 2 Thes. 1:7, 8: "The Lord Jesus shall be REVEALED from heaven with his mighty angels, in flaming fire taking vengeance." Through the unparalleled tribulation of the great Time of Trouble, Jesus will be manifested to the world as present in His Second Advent, as the Destroyer of Satan's empire and the Establisher of God's Kingdom. (5) 1 Pet. 1:7: "That the trial of your faith, being much more precious than of gold that perisheth, though it be tried with fire, might be found unto praise and honour and glory at the APPEARING of Jesus Christ." When the apokalupsis, or epiphaneia, the second stage of Jesus' Second Advent is over, all the Little Flock is beyond the veil with Jesus, even as St. Paul assures us in Col. 3:4. Then their purified and refined faith is found to be unto God's and Christ's praise and their own honor and glory. (6) 1 Pet. 1:13: "Hope to the end for the grace that is to be brought unto you at the REVELATION of Jesus Christ." This has much the same significance as 1 Pet. 1:7. (7) 1 Pet. 4:13: "Rejoice, inasmuch as ye are partakers of Christ's sufferings; that, when his glory shall be REVEALED, ye may be glad also with exceeding joy." At the time of Jesus' revealing, His Church is with Him and is revealed or manifested at the same time and in the same manner. From these passages it becomes evident that in relation to Jesus' Second Advent, the word apokalupsis, like epiphaneia, has two meanings: (a) THE ACTIVITY OF REVEALING OR UNCOVERING, whereby persons, principles and things, previously hidden or obscure, are made manifest; in this sense apokalupsis, like epiphaneia, has a wide time application as respects Jesus' Second Advent, stretching from His arrival until the end of the Kingdom, even as we have seen that the word parousia in application to the Second Advent indicates His presence in any of its three phases and in all of them from His arrival until the Kingdom's end; (b) THE PERIOD OF THE GREAT TRIBULATION, in which emphatically there is a special REVEALING or UNCOVERING of persons, principles and things, previously hidden or obscure. The Kingdom (Greek, basileia) in its initial, or primary sense has its beginning at the same time as the Parousia. But as a third and separate stage of our Lord's Second Advent it has its beginning after the Parousia and the Epiphany, or Apocalypse periods have begun and accomplished some of their purposes, including the glorification of all Christ's Body members, the beginning part of the destruction of the great Antichrist and the rest of Satan's empire and much of the preparation for the establishment of the Kingdom, the Basileia as the Millennial Mediatorial Reign of Christ. This Reign of Messiah in true peace on earth (Isa. 9:6, 7), for the blessing of all mankind, comes after the completed overthrow of Satan's empire (Psa. 46:8-10; Dan. 2:35, 44; 7:13, 14, 18-27). The Ancient Worthies, as Millennial princes (Psa. 45:16; Isa. 32:1; Heb. 11), will then be the chief rulers in the Kingdom's earthly phase. Many other Scriptures refer to this Kingdom Reign: Matt. 6:10, 33; 8:11; 19:23, 24; Mark 14:25; Luke 1:33; 12:32; 13:28, 29; 17:20, 21; 19:11, 12, 15; 22:29, 30; John 18:36; Acts 14:22; 1 Cor. 15:24-26, 50; 2 Tim. 4:1; Heb. 1:8; Rev. 1:6; 5:10 (see ASV for the last two citations); 11:15. For details, see The Millennium (p. 48) and our Kingdom booklet (a copy free). The three stages of Jesus' Second Advent—(1) the Parousia, (2) the Epiphany, or Apocalypse, and (3) the Basileia—are very important for us to keep in mind if we would understand clearly the subject of His Second Advent. The Parousia (in its narrow sense) is preparatory for both the Epiphany, or Apocalypse, and the Basileia, the Kingdom; and the Epiphany, or Apocalypse, carries forward the results of the Parousia and introduces the Basileia, the Kingdom.